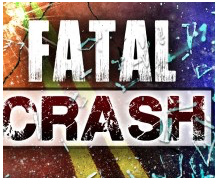 RUSSELL COUNTY — A Kansas man died in an accident just before 5p.m. Monday in Russell County. The Kansas Highway Patrol reported a 2007 Polaris 4-wheeler driven by Timothy A. Burris, 25, Russell, was southbound in the 200 block of Brooks Street in Russell. As the vehicle approached the intersection of 2nd Street, the driver hit the brakes hard and lost control and the vehicle. The ATV rolled and the driver was ejected. Burris was transported to Russell Regional Hospital where he died.